There are dozens, to not say hundreds, of applications to watch TV on an Android smartphone or tablet. The way we consume television has undergone important changes over the last few years. We no longer settle for having to wait to get home to switch on our traditional TV set and only be able to choose between the channels offered by our carrier. We want to be able to watch TV when and wherever we want, being able to choose between channels from countries from all over the world. And that’s precisely what an application of the likes of Live NetTV offers us, one of the many Android apps based on the IPTV protocol such as Mobdro, You TV Player or Kraken TV that have become so popular lately: we can explore a wide range of television channels sorted by topic or country and satisfy our need to devour television contents at any moment and in any place, provided that we’ve got an Internet connection at hand. All these applications, apart from offering us the possibility to watch TV on our phone, have another common aspect: neither of them can be downloaded from Google Play as online TV is a rather tricky matter due to copyright issues and what these apps really do is hack into the signal that was only meant for the users of a certain country or platform, on many occasions offering us contents which we would usually only be able to access by paying a subscription. For such purpose, in this humble guide of tips and tricks for Live NetTV we’ll teach you all the steps necessary to be able to download, install, and update its APK which, as you’ll soon see, are identical to the standard procedure required to install any app from an unknown source. Likewise, and due to the nature of this app, we’ll discuss its security and legality, as many of you seem to be worried about the reasons why it can’t be downloaded from Google’s official store, you’re weary of your privacy and afraid that your personal details may fall into the wrong hands. We must say that there’s nothing to worry about as the app has passed all our security controls and you won’t get into any sort of legal trouble for using it as it simply links to contents hosted by third parties. These lines also intend to be a tutorial to teach you how this app works and how to use it, showing you how to explore its different categories, how to search and find specific contents, how to adjust its options to customize the contents available or how to use our favorite external multimedia player to watch the channels of our choice. Furthermore, we’ll teach you some tricks to fix any problem that may appear whilst using the app, such as the dreaded buffering that prevents us from playing the channels as smoothly as we’d like. And if you like the app and are convinced about how it works, totally ad-free, we’ll also tell you how to install it on your PC to be able to comfortably watch all those same channels from your computer. As always, if you miss any other trick or tip for Live NetTV, don’t hesitate to ask us on our social networks. We’ll be delighted to answer you and satisfy your curiosity. Installing Live NetTV on a Smart TV is complicated. Be careful, we’re talking about a Smart TV not an Android TV box. All they might seem the same for practical reasons, they don’t use the same operating system. Smart TVs made by brands such as Samsung, Sony or LG don’t use Android as their operating system and, therefore, aren’t compatible with the installation of the APKs of Android apps as is the case of Live NetTV. If you want to install Live NetTV on an Android TV you only have to download the APK from our web. However, if you want to install Live NetTV on a Smart TV by any of these manufacturers, that’s more difficult, not to say almost impossible. The reasons why Live NetTV may not be working are various. If you’re undergoing installation problems with this app, the stream gets interrupted and you can’t watch the video smoothly or the image freezes, we might be able to help you out offering you an answer and possible solutions. In the first place, have you enabled on your phone the option to install apps from unknown sources? Remember that if you want to install any app from sources other than Google Play, you’ll have to carry out this action first. Live NetTV is an application designed for Android that can be used on a PC thanks to an emulator of this mobile operating system of the likes of BlueStacks. This program can be downloaded from Malavida for both Windows PC and for Mac, and after a simple installation process it allows us to load the APK of Live NetTV (or really the APK file of any Android game or application). To be able to solve buffering problems in Live NetTV, we simply have to go to the application’s settings and access the section that allows us to modify the quality of the videos played, changing it to Low or Medium, and then rebooting the app. With this change, we can reduce the volume of the data downloaded so there shouldn’t be any problems with the data buffer and the signal will reach us much more fluidly (on the contrary, the quality of the image will obviously be lower). You won’t have any problems to be able to update Live NetTV: the application automatically detects by itself if there’s a new version and offers us the possibility to download it. If we accept, which is highly recommendable because it will come along with the latest improvements and updates to its development, the APK will download just like any other app and the new installation will overwrite the previous one. If this weren’t to work, you can always visit Malavida where we always offer you the latest version available of the app as well as all its new features and any other cheat or tip that you may use to make the most of this software to watch online TV on your Android. 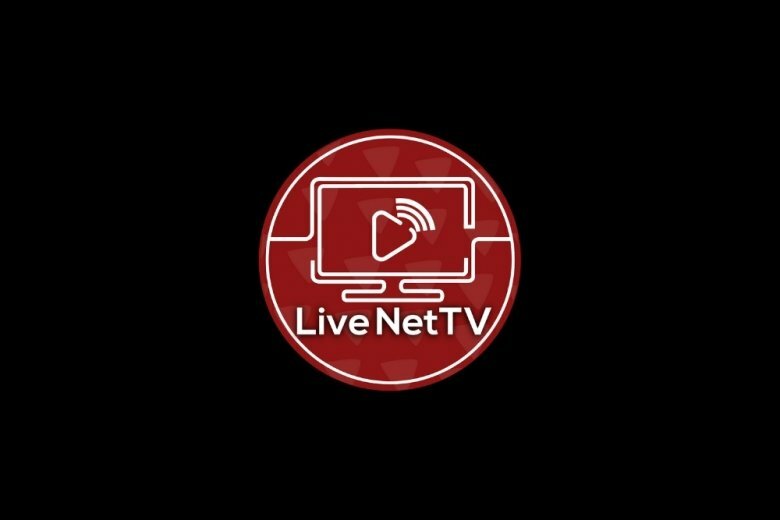 Live NetTV isn’t an illegal application, however it makes use of a loophole similar to those used by other online applications and services that have later been immersed in individual lawsuits for each case. The reason is that the app doesn’t host any of the streams by means of which it broadcasts its contents but simply links to those webs that does stream them. In many cases, we’re talking about public and private channels the contents of which we can find on the Internet without any trouble as they broadcast openly from their web pages. However, there are also paid satellite or cable TV channels also linked from the app, and that could get someone into trouble. Live NetTV is a safe application that shouldn’t give the user any trouble, whether in terms of malware or due to the violation of the user’s privacy. In fact, here at Malavida we’ve analyzed it with an antivirus tool and it’s totally clean. Live NetTV is an application for Android devices that allows us to watch the TV through an Android smartphone or tablet. It works by linking to streams offered by different websites, being able to find public TV channels that broadcast live or private satellite or cable TV platforms that, despite being commercial, can be tuned into for free.